Metallic Gold art print by The Accent Studio Professionally hand framed in a 8X10" premium white stock. Art print is 8X10 inches Arrives ready to hang with all hardware included. 100% Made in the USA Our real gold foil art prints are exclusively made by hand in our California studio space • Made with gold foil and premium pure white matte card stock. • Prints arrive unmatted, ready to be placed in your favorite frame. 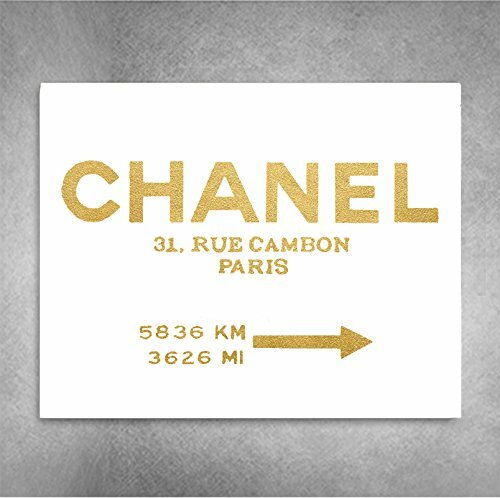 • Dimensions: 8 x 10 Our gold foil art prints are the perfect gift! Beautiful gold decor, or fabulous gold bedroom decor. Contemporary gold wall art decor in shiny real foil. If you have any questions about this product by The Accent Studio, contact us by completing and submitting the form below. If you are looking for a specif part number, please include it with your message.